Hand-knotted silk rugs go well with the stylish furniture in your living room, but washing them on your own is never a recommended idea. You need professional assistance to effectively clean them and increase their lifespan. 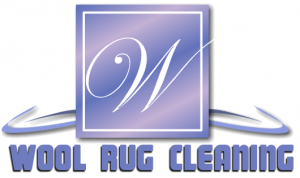 The professional team at Wool Rug Cleaning is known for the best rug cleaning service in Florida. Silk rugs are relatively expensive and prone to damages. We offer quality cleaning service and make the most of special products that are suitable for the particular color and weaving style of your handmade silk rug. This procedure retains the softness of fibers and quality of dye, while eliminating stains and odors from the carpet. There is no denying that washing silk rugs is one of the most difficult processes. But our lab technologists and cleaning experts can save you from trouble. We have developed a comprehensive cleaning process that is guaranteed to achieve 100% customer satisfaction. Our professional team is cautious when handling silk rugs, especially the ones in shades of red and blue. We choose the right cleaning products and processes that don’t ruin the sensitive dyes. So, you need not worry about your favorite rug losing its appeal and value after a wash. Silk rugs are extremely sensitive to humidity and high heat and may lose their colors and fabric strength upon extended exposure to these elements. We refrain from using these techniques to protect your rugs from potential threats. When it comes to washing silk rugs, always choose a reputable business with a huge range of satisfied customers. Wool Rug Cleaning is such a company that offers the best services and has a myriad of customers who back our brand. Washing silk rugs on your own isn’t a good idea since it may lead to damages. You should rather call us at 1866-976- 8747 for convenient Silk rug cleaning work.